Powered by adroit professionals and advanced equipments, we are able to offer high grade Extrusion Masterbatch. A material is pushed through a die of the desired cross-section. The two main advantages of this process over other manufacturing processes are its ability to create very complex cross-sections, and to work materials that are brittle, because the material only encounters compressive and shear stresses. 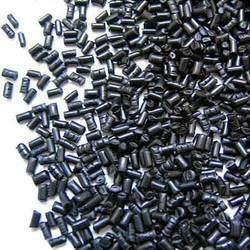 These are used in several moulding , blowing, extrusion and film applications.. Looking for Extrusion Masterbatch ?